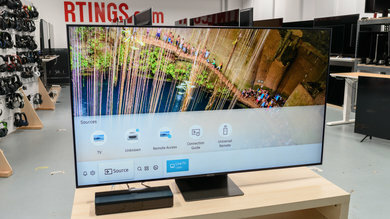 The LG UH6500 is a "4k" LCD TV . It uses an alternative pixel structure (RGBW), which results in less accurate display of fine details. Despite this, it has average picture quality. It handles motion well with little blur and has low input lag. 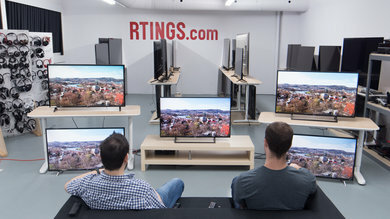 The picture quality is also retained at an angle more than most other TVs. The design of the UH6500 is a bit more streamlined than the slightly lower model UH6100. It is made of plastic but has a nice finish, and a glossy textured back. This does pick up a lot of fingerprints, but looks good. The biggest downside is the thicker than average border. The stand is almost as wide as the TV, but looks sleek. 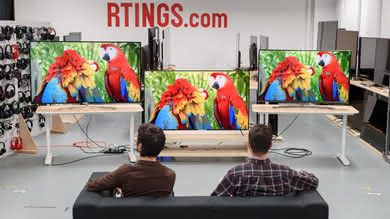 It supports the TV well with little movement. 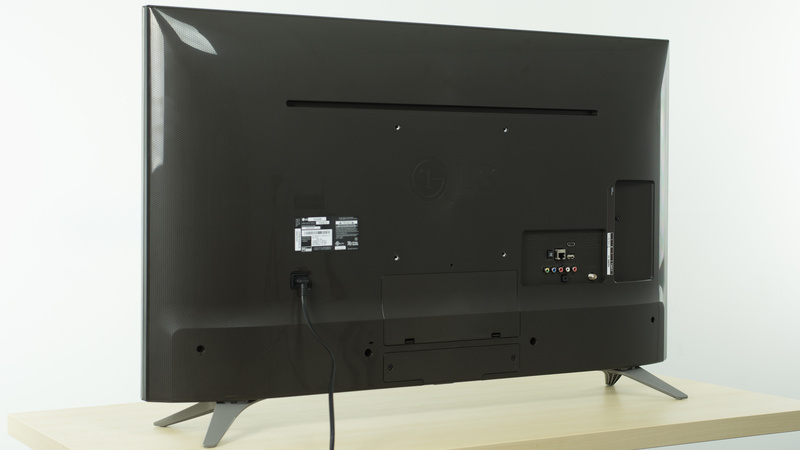 Footprint of the 43" TV stand: 7.8" x 34.7"
The VESA mount is not on the thickest part of the TV and so it may be necessary to use some spacers (not included) depending on your mounting design. There is also a removeable panel in the centre of the back which doesn't appear to have any use. 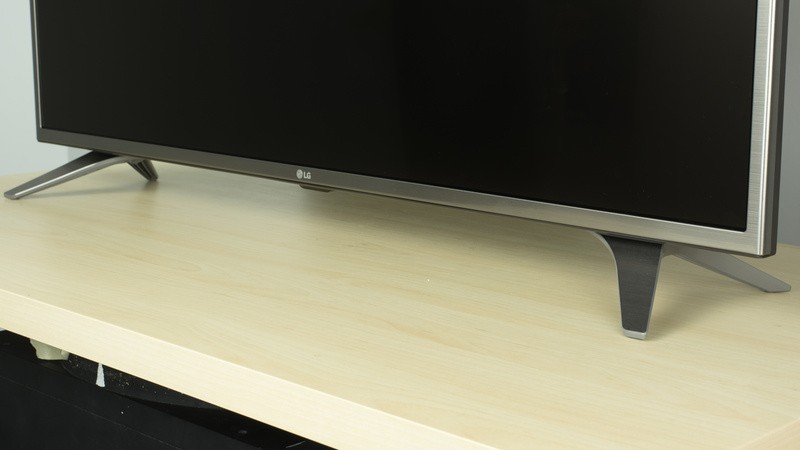 The borders are quite thick compared to other TVs, even the lower end LG UH6100. This may result in a slightly less immersive experience. 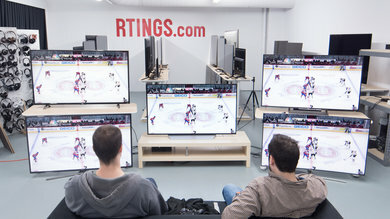 The TV is thickest at the bottom, where it is about average. It will stick out a bit if wall mounted. 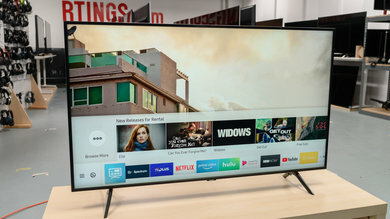 The LG UH6500 has an average picture quality and nothing really stands out as being really good or really bad, which is a good thing when compared to other LG mid range TVs. 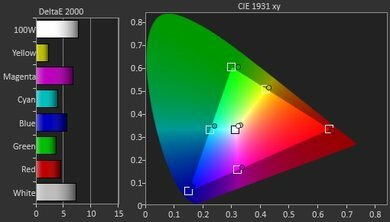 Since the native contrast ratio and black uniformity are average, movies won't look as good as on other TVs when viewed in a dark room. 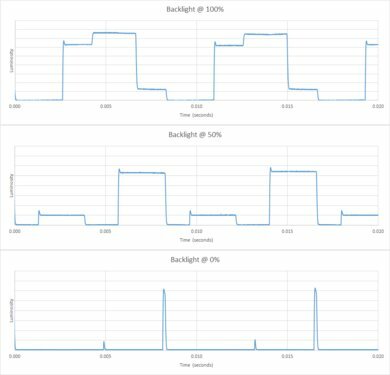 The peak brightness is also below average and the lack of local dimming won't help to make small highlights appear brighter when viewing HDR content. The gray uniformity is below average but not as bad as seen in other LG direct lit TVs such as the UH6100. 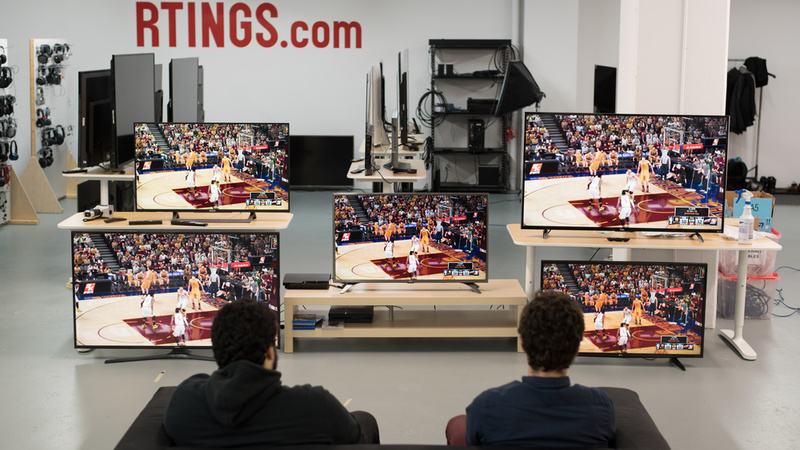 The viewing angle is above average and should be enough for people with a wide seating area. 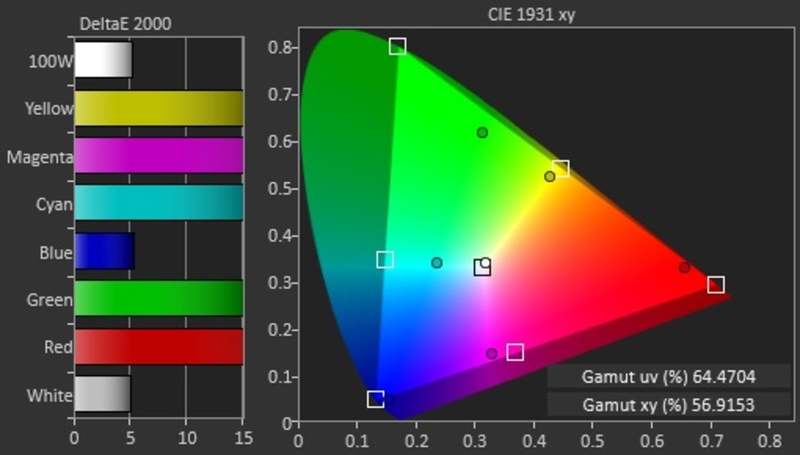 The UH6500 can reproduce a 10 bit color depth without any problems, but unfortunately colors are not as saturated as seen in other wide color gamut TVs. 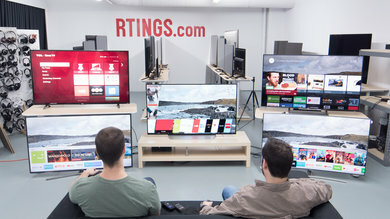 The native contrast ratio is average and is in line with other IPS TVs. Blacks are not very deep and will look more gray than really black when seen in a dark environment, but will look better in a well lit room. 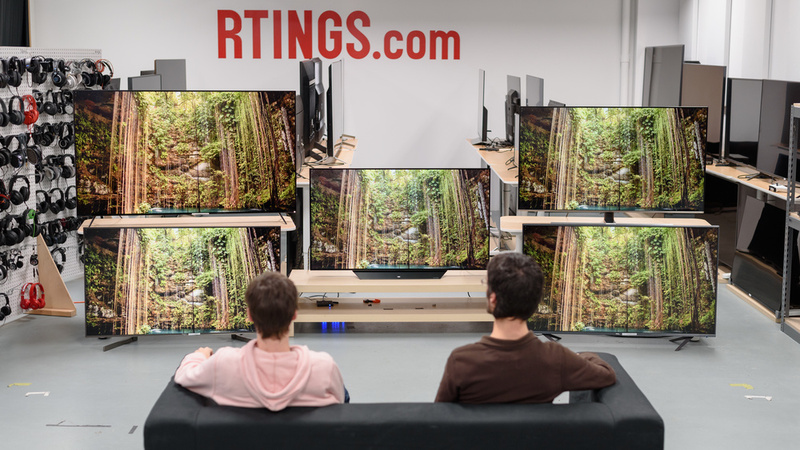 At 1325:1, it is in the upper range of IPS panel TVs. 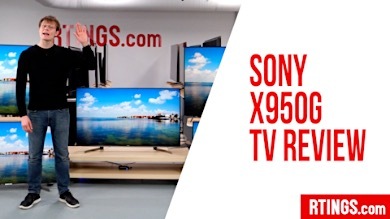 There is no local dimming feature on this TV, and the video is only for reference. 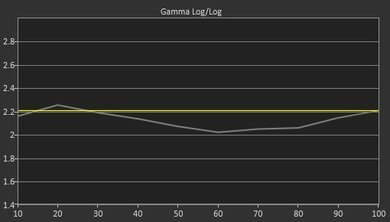 When sending an SDR signal or simply when watching normal TV or movies, the overall peak brightness is only of 218cd/m². 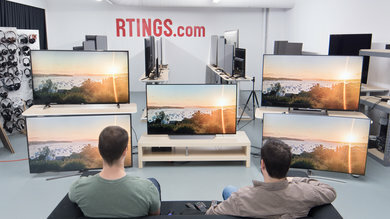 This means that at this brightness, it would not be the best TV in a very bright environment where you can have a lot of light from a bright lamp or the sun since the maximum brightness won't be enough to overcome the glare and reflection. 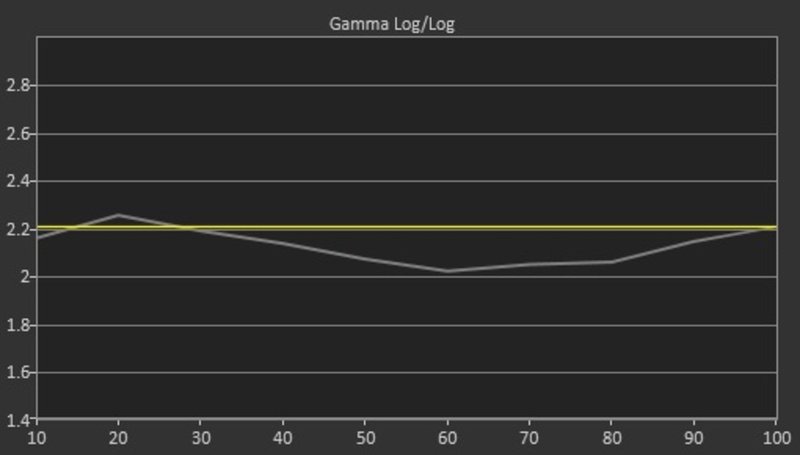 The peak brightness of the LG UH6500 is average when sending an HDR signal. At around 400 cd/m², this peak brightness won't be enough to render well any good HDR content, since this is just enough for SDR content. 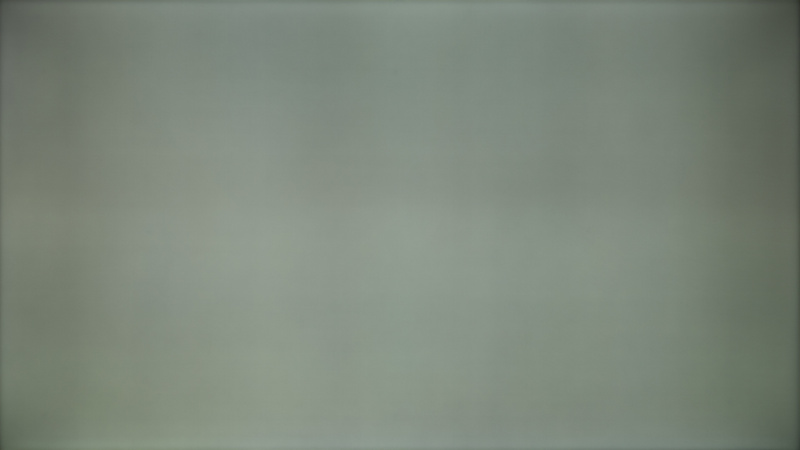 The gray uniformity is below average. Some vertical and horizontal banding can be seen, resulting in dirty screen effect. 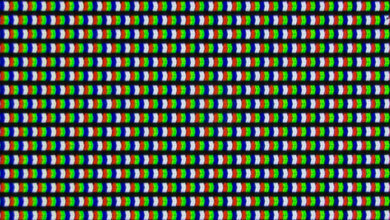 The edges of the screen also have uniformity issues as they are much more dark than the center. When viewed at an angle, this TV retains the contrast and color accuracy better than average. This is a good result for those with wide seating. 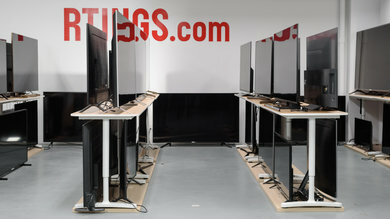 Black uniformity is average and once again it is well representative of LG IPS TVs. Clouding is omnipresent in our test picture with a bit of flashlighting in the upper left corner. 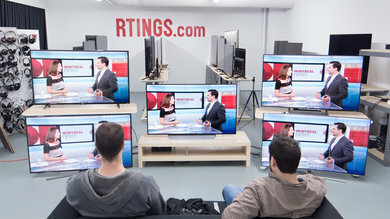 Luckily, it is not really obvious when watching normal content like TV shows or movies. 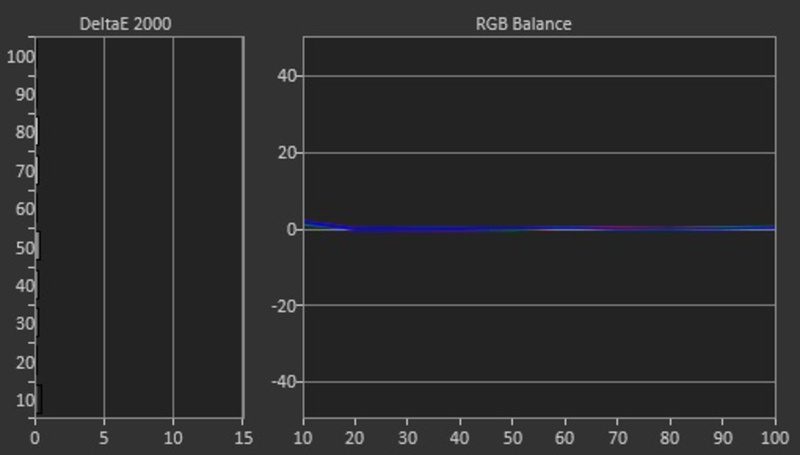 The UH6500 can display a 10 bit gradient, which performs quite well. Some banding issues can be seen but the gradient appears quite smooth overall. Prior to calibration the results are average. 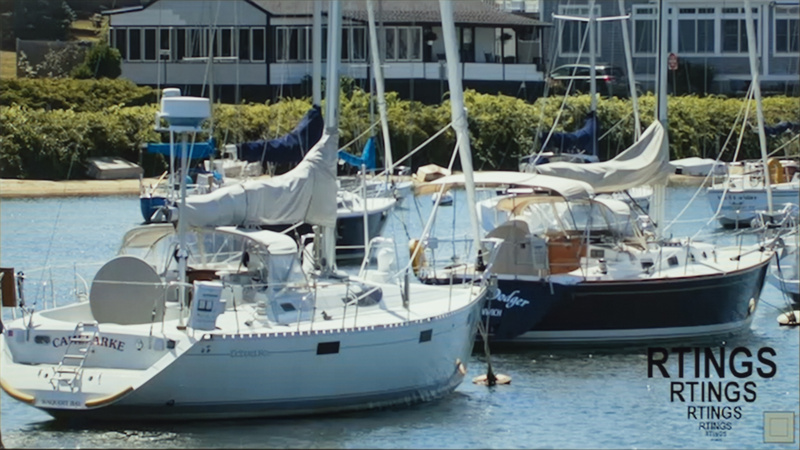 The white balance is a bit off, especially at higher IRE values. 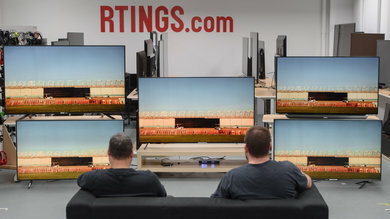 For most people this shouldn't be an issue, but when compared to another TV side-by-side it is more obvious. 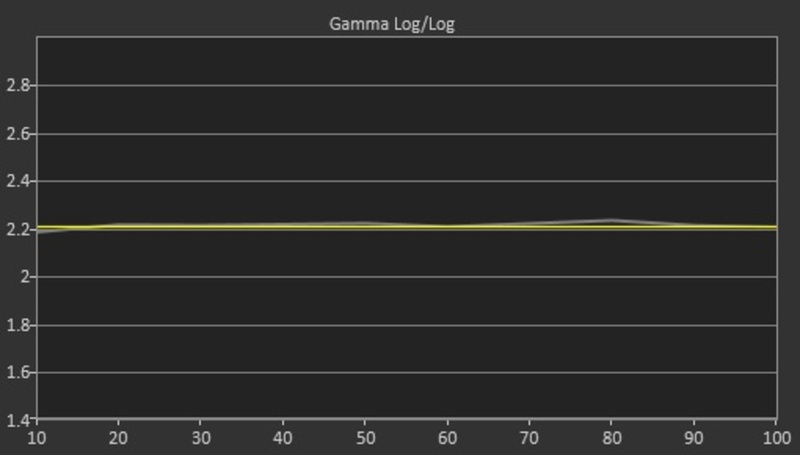 The 20 point calibration works very well to fix almost all of the minor issues. 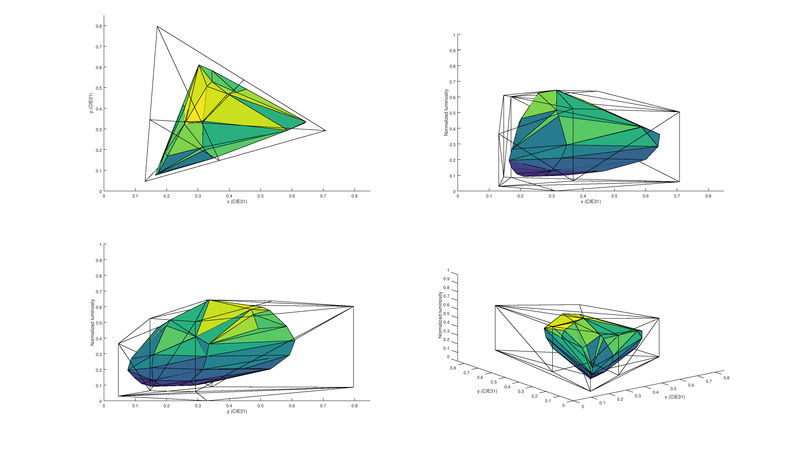 This is a very good result, and only minor issues remain in the colors with green remaining slightly under saturated. 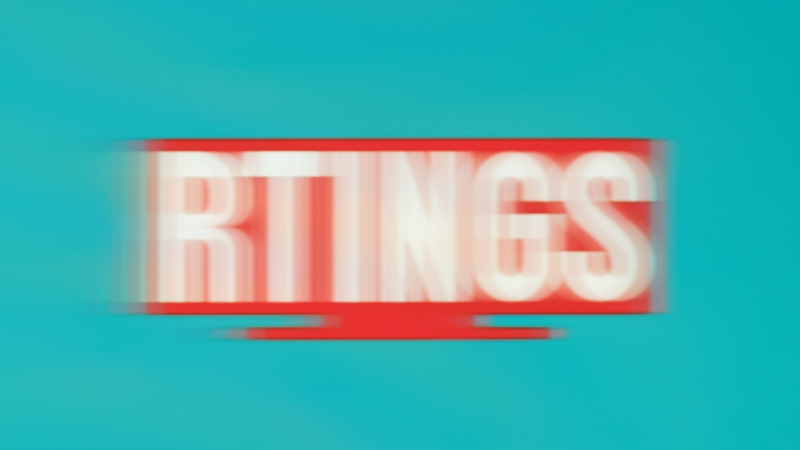 Low quality content is upscaled well. Some halo artifacts can be seen along straight lines, but the image appears clear. 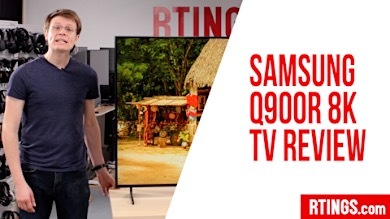 720p content looks good, and it sharper than most other TVs. Details are preserved well. Higher quality content such as blurays are clear and sharp. 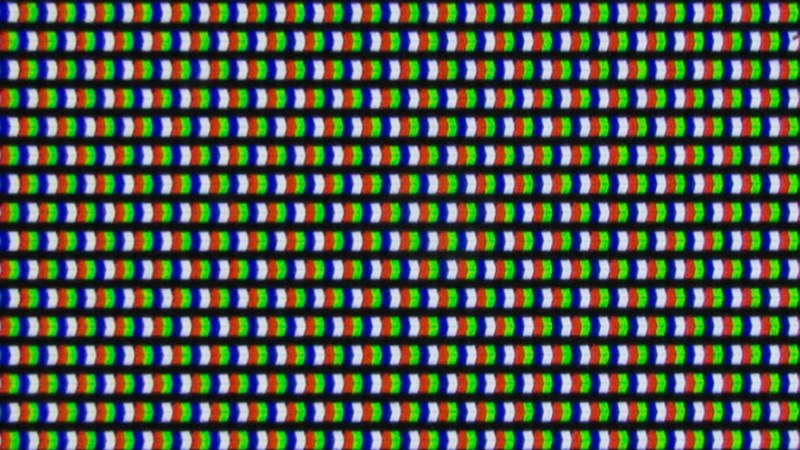 At the native resolution of 4k and from close up it is possible to see the effects of the less accurate RGBW pixel structure. This is not an issue from further away. The text appears slightly less clear and this can be seen in the 'Supported Resolutions' section below. 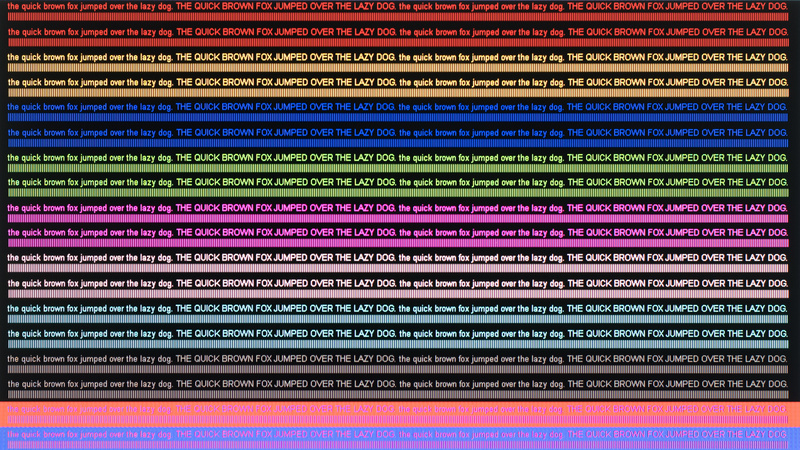 Unlike the UH6100, the UH6500 does have a wide color gamut option in the menus. 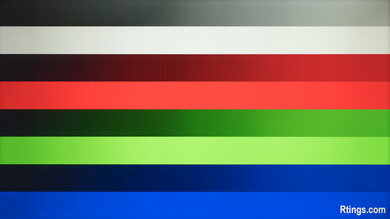 It does increase the saturation of primary colors, but not as much as other wide color gamut TVs. As such, we don't classify it as 'Wide Color Gamut' for our tests. 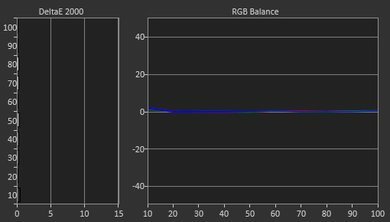 Changing the color gamut to 'Wide' provides the most colors, 'Normal' is suitable for SDR content and 'Extended' is somewhere in between. 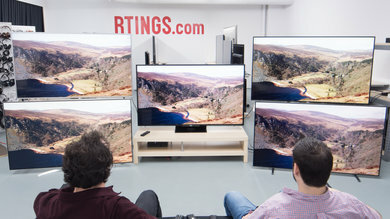 The color volume coverage is poor, so the TV doesn't benefit from the wider color volumes of HDR content. The UH6500 have some image retention, unlike the UH6550, that also has a RGBW IPS panel, but has no image retention at all. 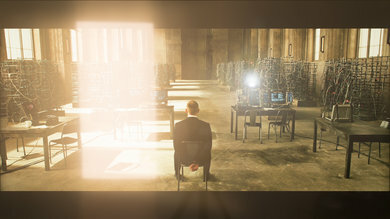 The image retention does fade away before the end of the recovery time though, since after the 6 minutes of recovery, you can't make out any of the logos from the burn-in scene. 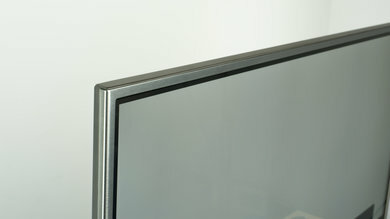 The screen is semi-gloss, which helps to reduce the intensity of direct reflections. 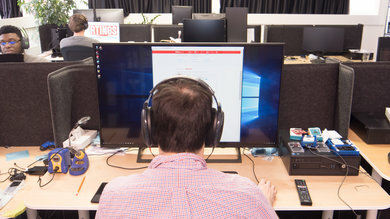 For a room with a couple of small windows this should not be a problem, but bright glare directly on the screen could be an issue. The UH6500 doesn't support any 3D features. The UH6500 has very good motion performance. 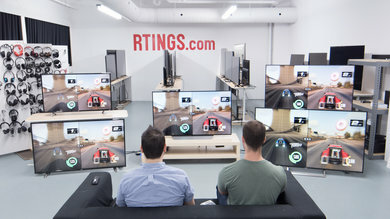 The response time is quick, which results in only minor motion blur following moving objects. 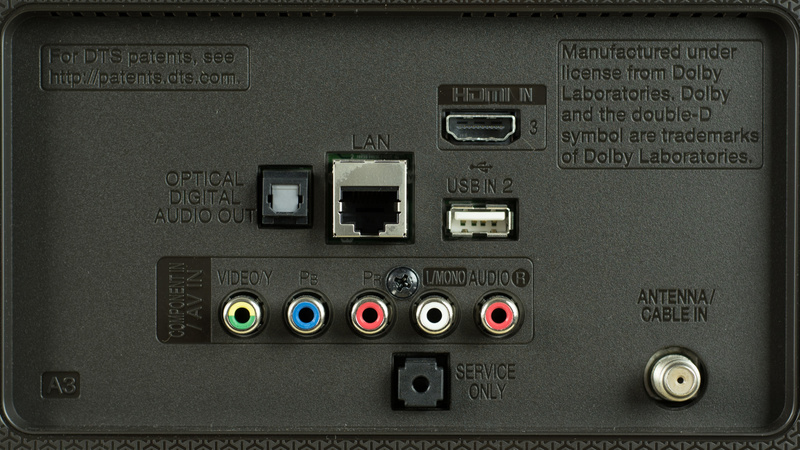 Movies appear smooth when played from a bluray player, but those that are sensitive to judder may notice it when watching movies from a set top box. For most people, this should not be an issue. Those that enjoy the soap opera effect can enable it for 30fps content. 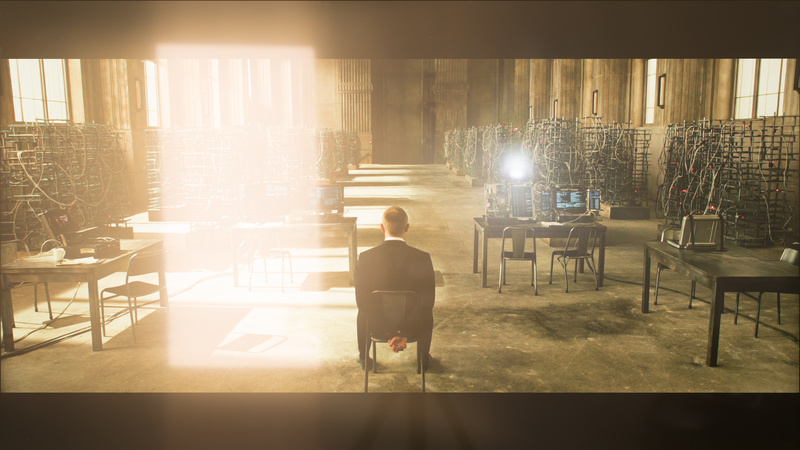 The response time is great, and only results in a short trail following moving images. 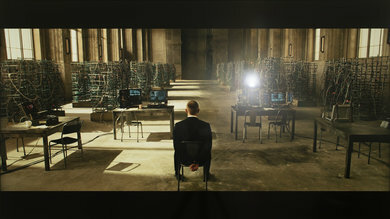 Some replications are seen following the moving logo due to the flickering backlight (PWM). Movies played from a 24p source such as a bluray player or the built in apps appear smooth. 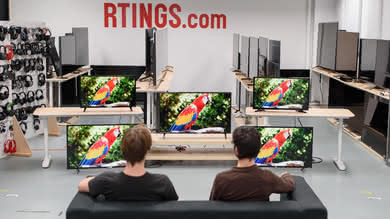 Those that are sensitive to judder may notice it when playing movies over a 60Hz signal such as HTPC or cable box. Most people aren't sensitive to judder so this shouldn't be an issue. 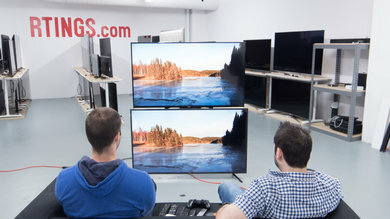 The UH6500 has a 60Hz panel, so cannot interpolate 60 fps content to any higher refresh rate. To enable motion interpolation for a 30 fps input, adjust the 'TruMotion' setting. 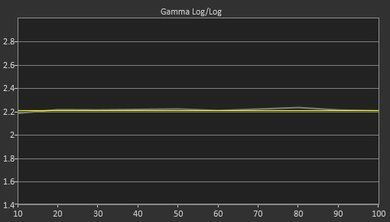 The UH6500 has very good input lag for SDR sources. 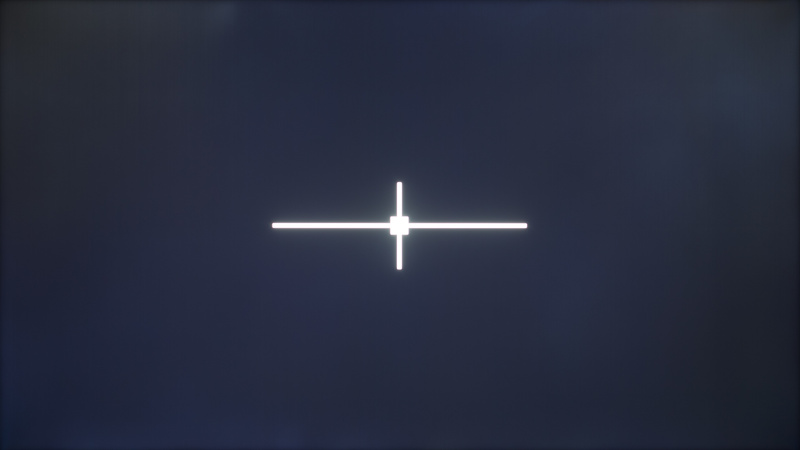 To achieve this low input lag it is necessary to set the picture mode to 'Game'. 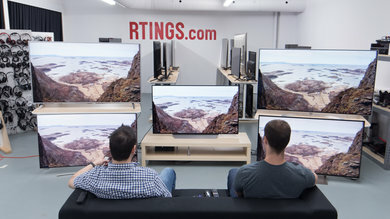 Unfortunately for HDR content there is no 'Game' picture mode, and this results in high input lag. 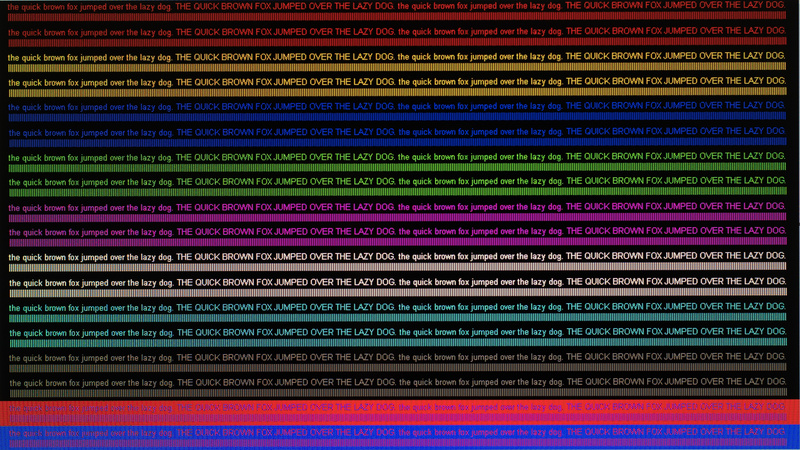 It supports a wide range of resolutions, with chroma subsampling for clear text across all backgrounds. 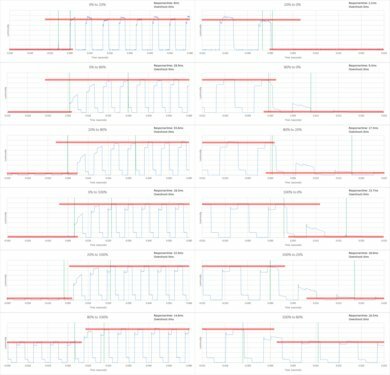 Input lag is low for SDR content, which is great and feels responsive. 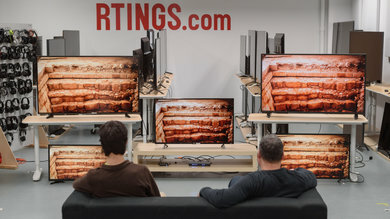 When a HDR source is detected the TV switches into a HDR picture mode, which has very high input lag. For lowest input lag set the picture mode to 'Game'. Update 12/08/2016: With the newest firmware update (04.30.70) there has been the addition of a HDR gaming mode. In this mode the HDR input lag is lower, and should be fine for HDR gaming. 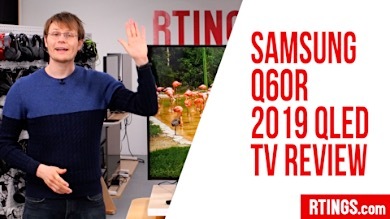 Note that although the TV accepts a 4k @ 60Hz @ 4:4:4 + HDR signal, it can't accurately display the chroma subsampling in any HDR mode, even with the 'PC' icon selected. To enable the bandwidth for 4k @ 60Hz @ 4:4:4, turn on 'HDMI ULTRA HD Deep Color' for your input in the 'General' settings menu. To display chroma subsampling correctly, it is necessary to change the input icon to 'PC'. 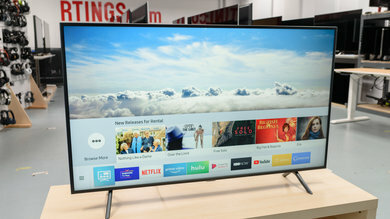 Although this TV can display chroma 4:4:4, it is not as clear as some other TVs due to the less accurate pixel structure. 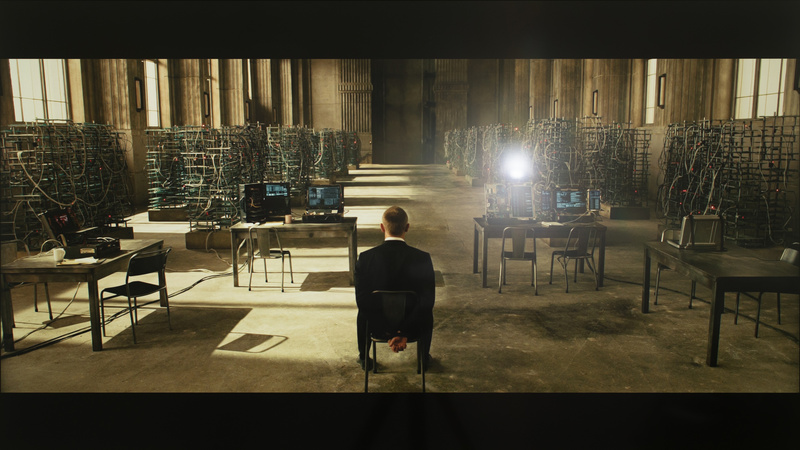 This is penalized in the '4k Resolution' section of the review. Sound quality is below average. The frequency response is about average, but becomes worse at higher volumes. 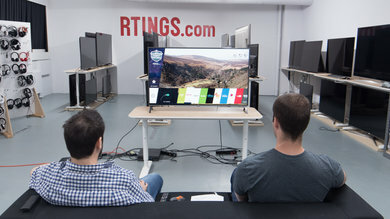 Unfortunately there is significant distortion, and so a cheap soundbar is recommended for those that care about sound. Average performance. 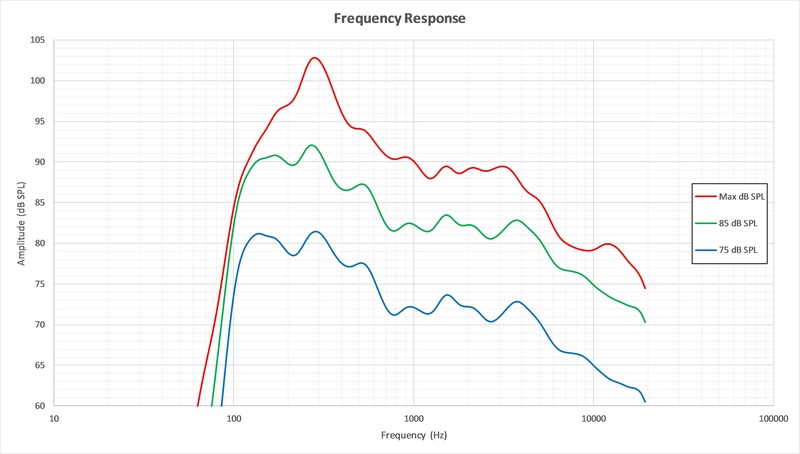 Frequency response is about average, especially at higher volumes where slight pumping and compression is present. 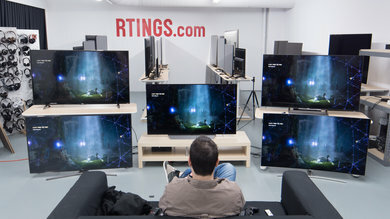 Additionally, maximum volume and low-end cutoff are above average, for a TV. 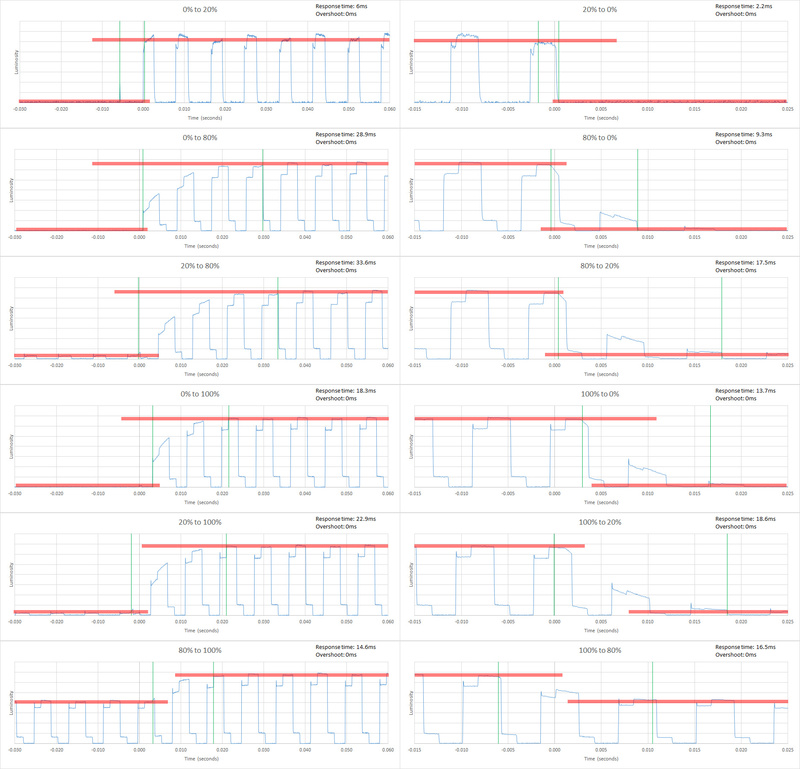 Poor harmonic distortion performance. The overall amount of harmonic distortion at 75dB SPL is good. 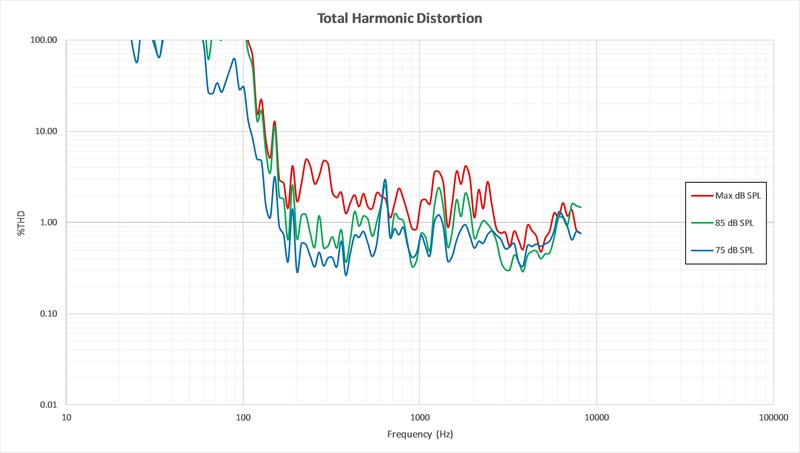 At higher volumes however, the performance deteriorates and there is a significant rise in the harmonic distortion. 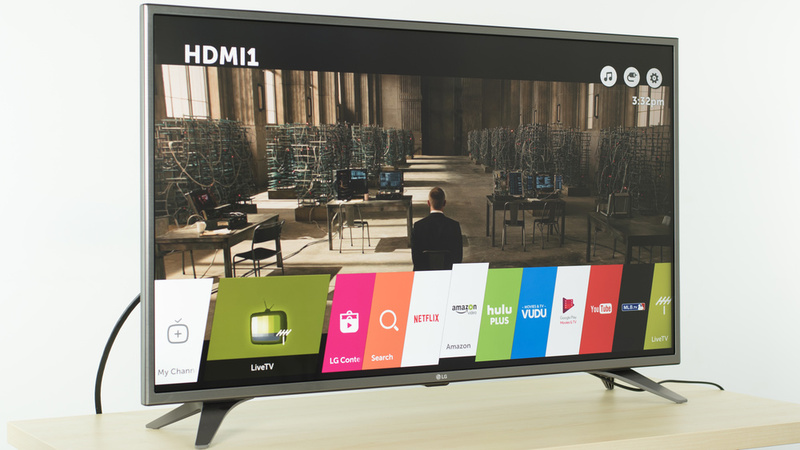 The UH6500 has the latest iteration of LG's smart OS, WebOS 3.0. 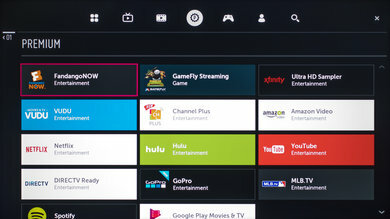 It is very full featured with access to the LG Content Store to download a wide selection of apps including Netflix, Amazon Video and Hulu. It is also very stable, and feels smooth to use. 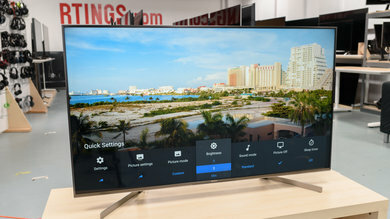 Unlike the higher end models, this TV doesn't include a smart remote or pointer. Despite this, it is easy to navigate the menus and perform all of the functions. 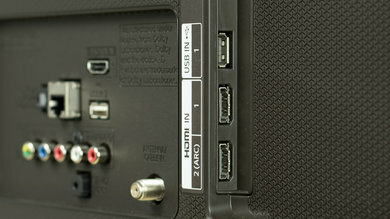 It is possible to play videos or photos from a USB drive plugged directly into the TV. 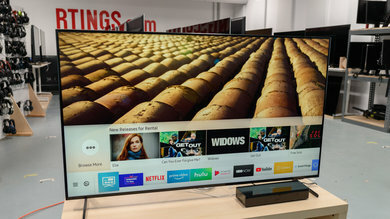 The LG Content Store makes it easy to download all of the most popular apps, including YouTube, Netflix and Amazon Video. 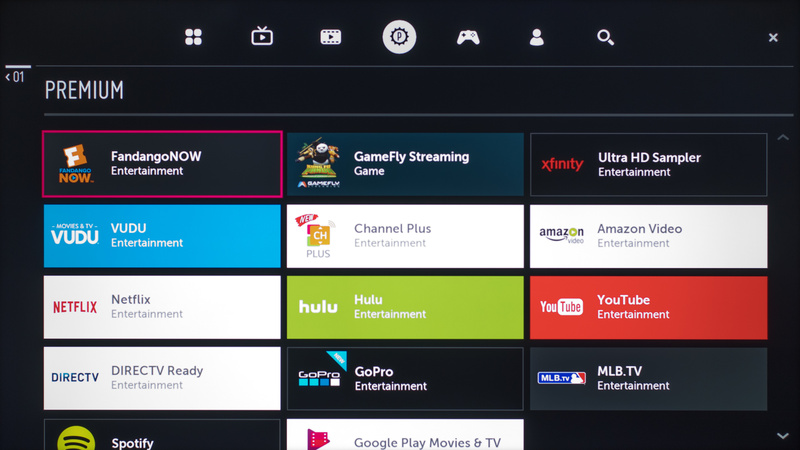 It isn't as full-featured as the Roku or Android platforms but should have more than enough content for most people. 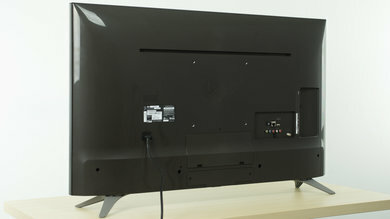 The controls are located below the logo at the center of the TV. 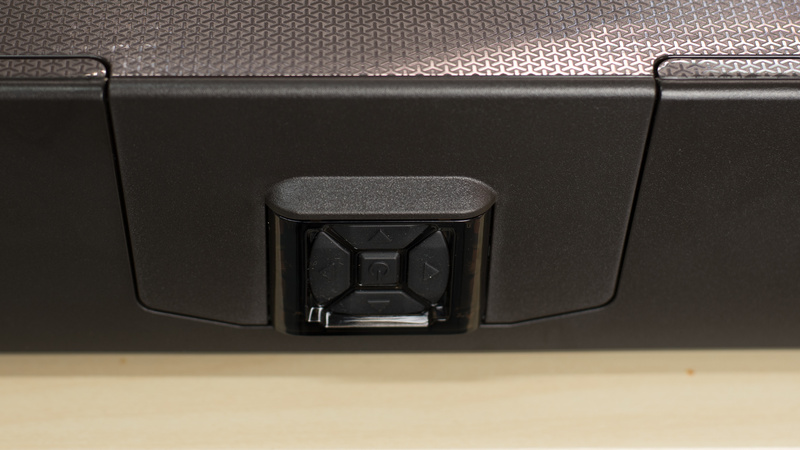 They are easy to access, even if wall mounted. The buttons provides basic functionality but are easy to use. 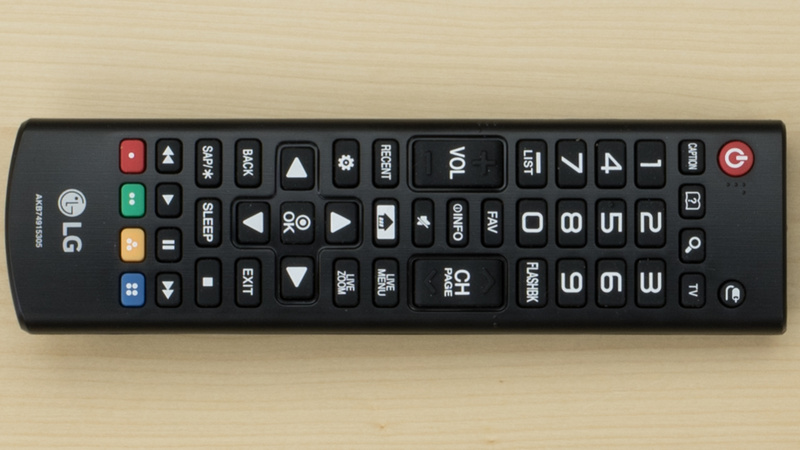 The included remote is basic, with a traditional style. It is intuitive and easy to use. 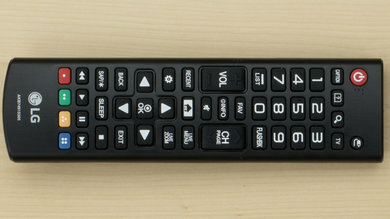 This is the same remote found in other low-mid end LG TVs such as the UH6100. 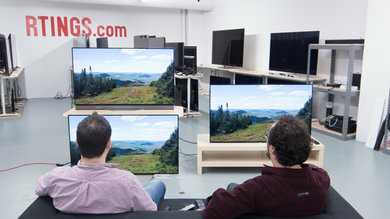 We tested the 43" (43UH6500). 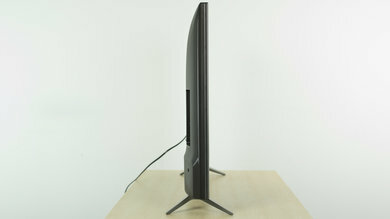 For the most part, we expect our review to be valid for the 49" (49UH6500). 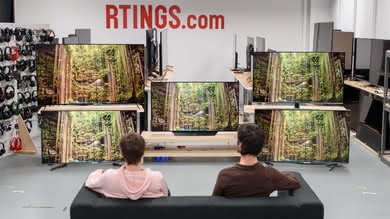 If someone comes across a different type of panel or if their LG UH6500 doesn't correspond to our review, let us know and we will update the review. 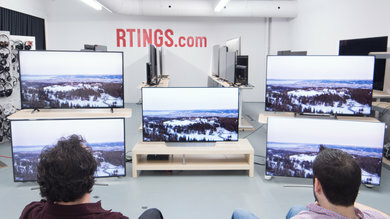 Top left: Sony X800D (XBR43X800D). 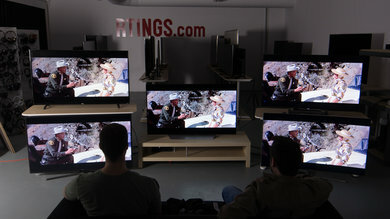 Bottom left: Samsung KU6300 (UN55KU6300). 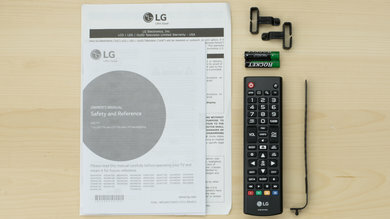 Middle: LG UH6500 (43UH6500). 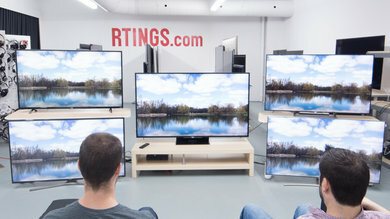 Top right: TCL UP130 (55UP130). 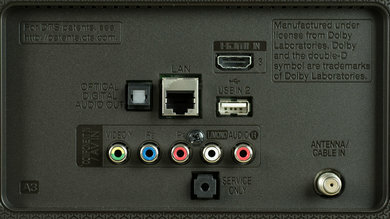 Bottom right: LG UH6100 (43UH6100). Unlike our other photographs, this picture wasn't taken under a controlled environment, so do not draw conclusions from it. 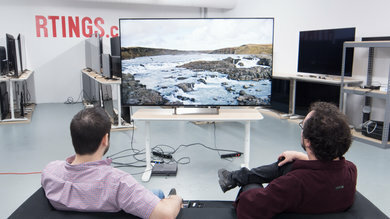 The LG UH6500 offers slightly above average performance for mixed usage, but is in quite a competitive market segment with many similar offerings from other brands. 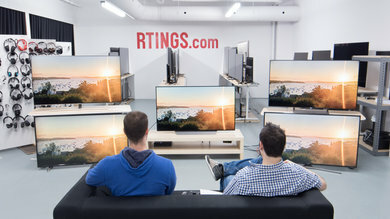 Although it may be a very good TV for some people, it is hard to recommend when there are other TVs with very similar performance for a lower price. Keep this in mind when viewing our recommendations below. Slightly above average for mixed usage. 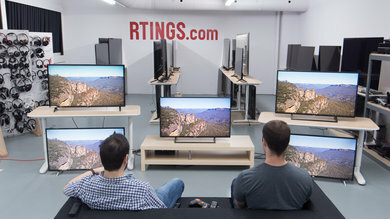 Dark scene performance is below average, but better than most other IPS TVs. Picture quality is average, but is retained at a wide angle. Motion is great with little motion blur. 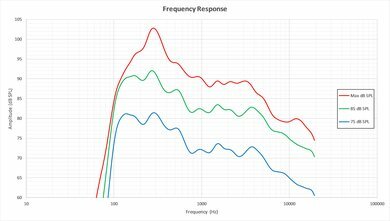 SDR input lag is very good for video game and PC use. Below average for watching movies in a dark room. Contrast ratio is slightly below average, and picture quality is average. 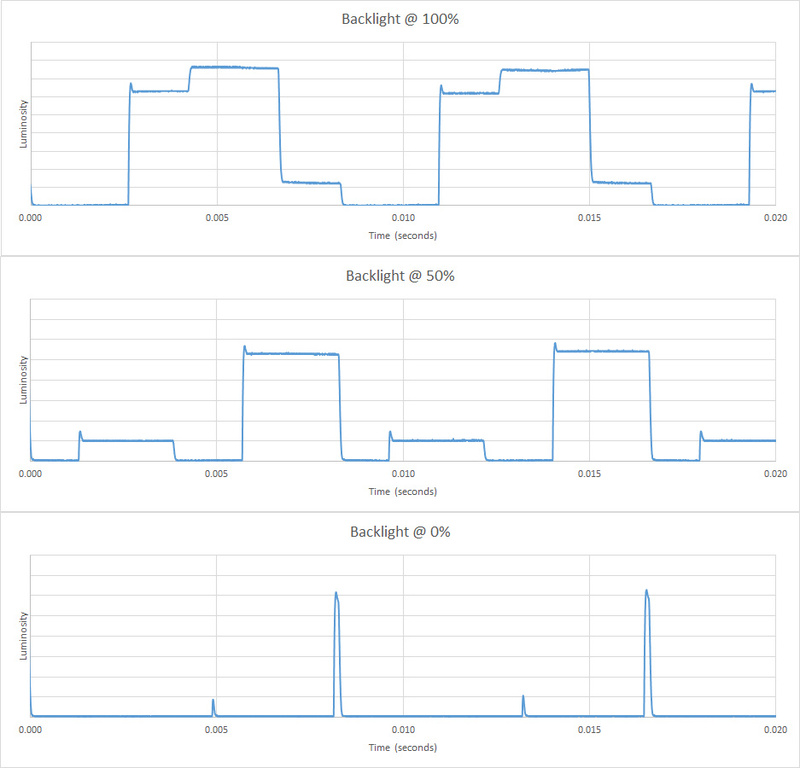 Doesn't support features to improve performance such as local dimming. 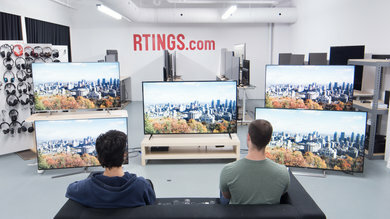 Above average for watching TV in a bright room. Picture quality is average, but colors remain accurate when viewed at an angle. Quite good at dealing with reflections, however the screen only has an average brightness when watching SDR content. 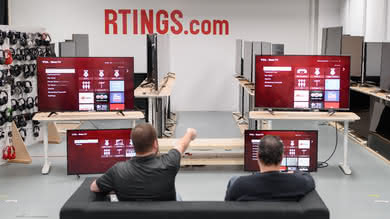 The smart platform works well for casual viewing. Good for sports. Low motion blur for fast moving objects which is great. Picture quality is average but remains accurate at an angle. Uniformity is poor so some dirty screen effect is visible. 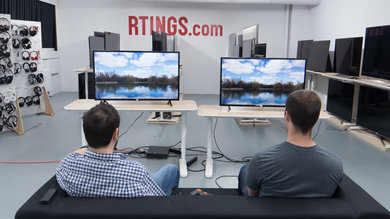 Good for SDR video games. Picture quality is average. Fast motion is handled well with little blur. Input lag is also great. 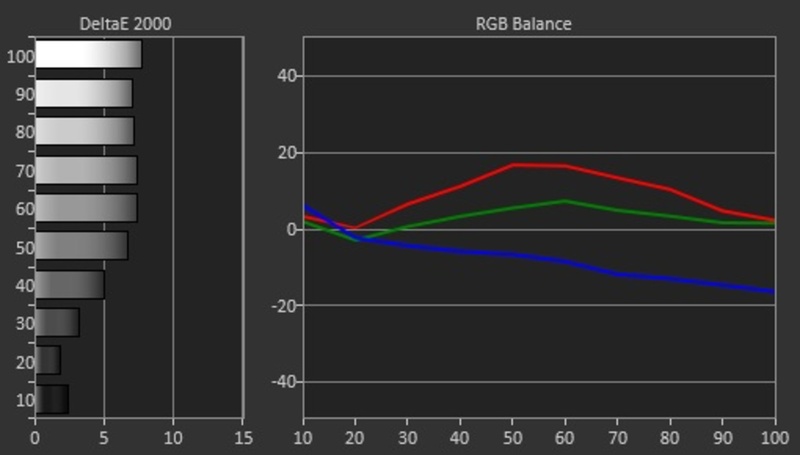 Slightly below average for HDR movies. 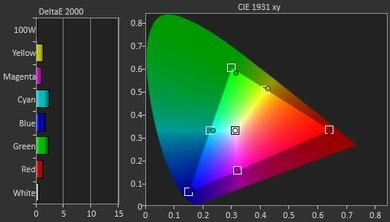 Supports HDR10. 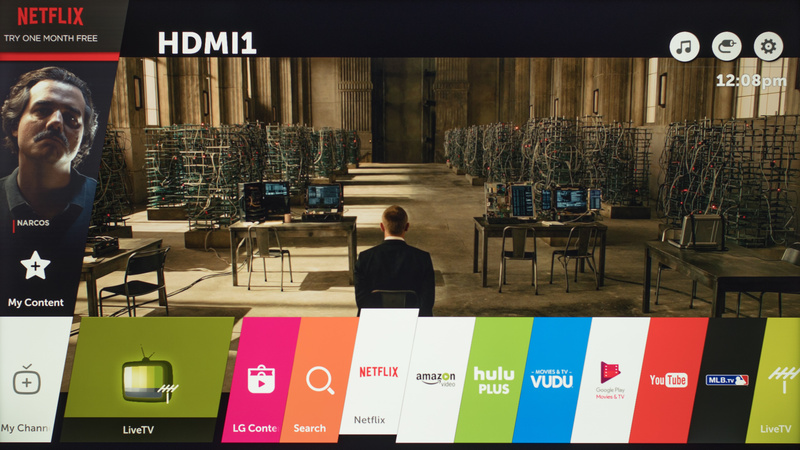 Has a menu option for wide color gamut, but can not get as saturated as other TVs. Average whole screen brightness but small highlights don't get bright. Picture quality is average. 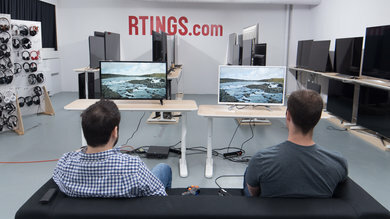 Below average for HDR gaming. Picture quality is average. 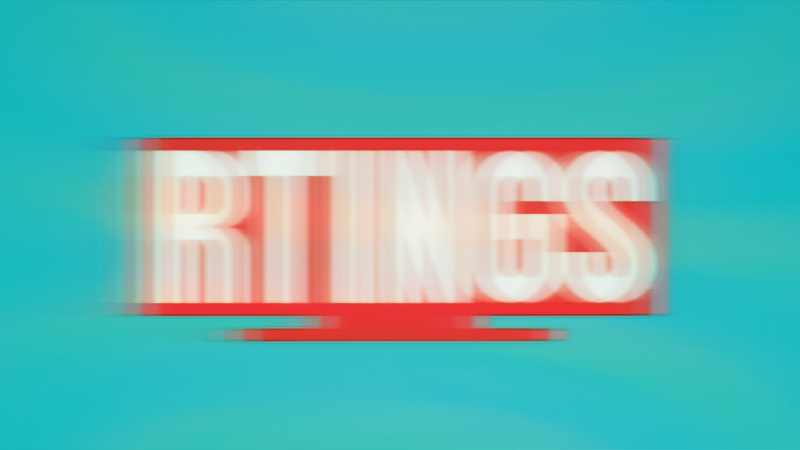 Motion blur is very low, which is good. 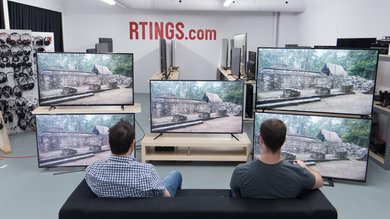 Unfortunately input lag is very high, as it is not possible to activate 'Game' picture mode with HDR content. Above average PC monitor. Picture quality is average. Feels very responsive due to low input lag. Fast motion is handled very well. 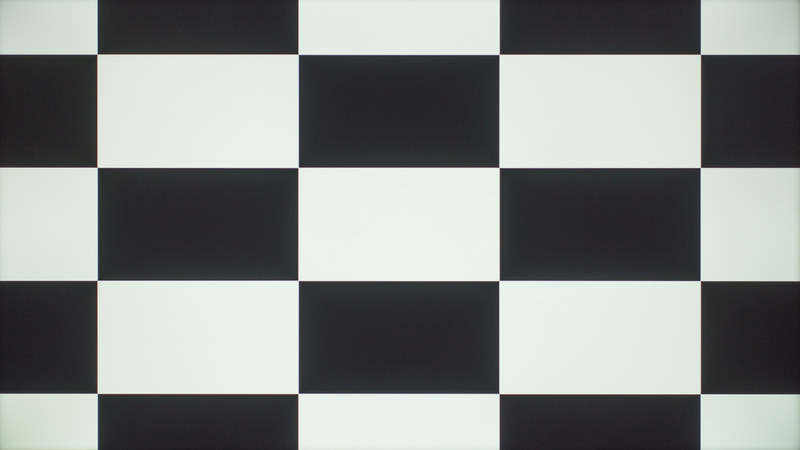 Due to the alternative pixel structure, some straight lines appear jagged as can be seen here .